Legendary investors such as Leon Cooperman and Seth Klarman earn enormous amounts of money for themselves and their investors by doing in-depth research on small-cap stocks that big brokerage houses don’t publish. Small cap stocks -especially when they are screened well- can generate substantial outperformance versus a boring index fund. That’s why we analyze the activity of those successful funds in these small-cap stocks. In the following paragraphs, we analyze Pier 1 Imports Inc (NYSE:PIR) from the perspective of those successful funds. Pier 1 Imports Inc (NYSE:PIR) investors should be aware of a decrease in enthusiasm from smart money lately. PIR was in 18 hedge funds’ portfolios at the end of September. 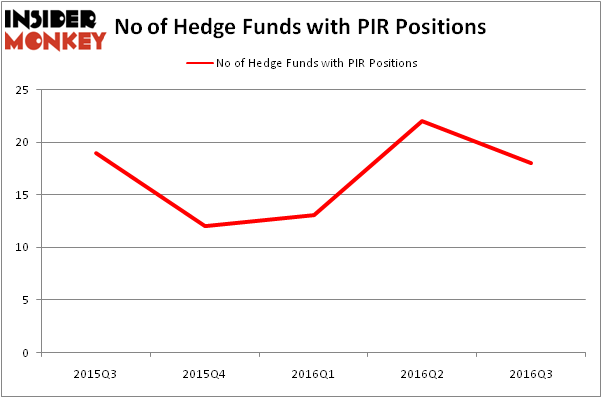 There were 22 hedge funds in our database with PIR positions at the end of the previous quarter. The level and the change in hedge fund popularity aren’t the only variables you need to analyze to decipher hedge funds’ perspectives. A stock may witness a boost in popularity but it may still be less popular than similarly priced stocks. That’s why at the end of this article we will examine companies such as Siliconware Precision Industries (ADR) (NASDAQ:SPIL), Sonus Networks, Inc. (NASDAQ:SONS), and Armada Hoffler Properties Inc (NYSE:AHH) to gather more data points. 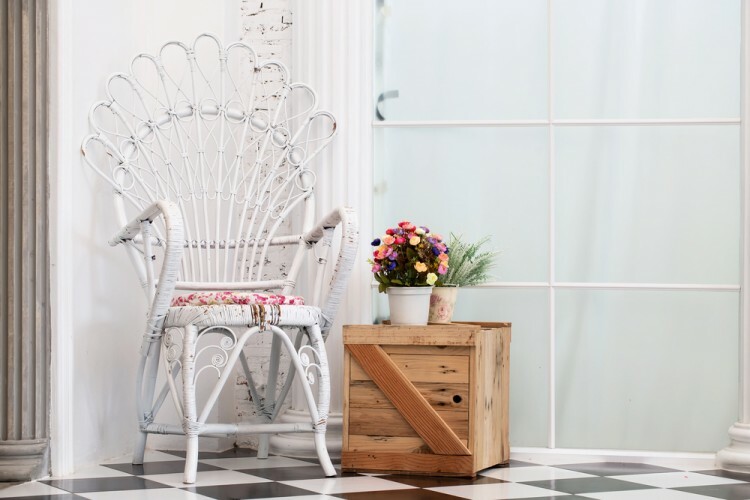 With all of this in mind, let’s take a peek at the latest action regarding Pier 1 Imports Inc (NYSE:PIR). What does the smart money think about Pier 1 Imports Inc (NYSE:PIR)? At the end of the third quarter, a total of 18 of the hedge funds tracked by Insider Monkey were bullish on this stock, a drop of 18% from the previous quarter. The graph below displays the number of hedge funds with bullish position in PIR over the last 5 quarters. So, let’s check out which hedge funds were among the top holders of the stock and which hedge funds were making big moves. When looking at the institutional investors followed by Insider Monkey, Alden Global Capital, led by Randall Smith, holds the largest position in Pier 1 Imports Inc (NYSE:PIR). According to its latest 13F filing, the fund has a $33.6 million position in the stock, comprising 34% of its 13F portfolio. On Alden Global Capital’s heels is Jim Simons’ Renaissance Technologies, which holds a $19.3 million position; less than 0.1% of its 13F portfolio is allocated to the company. Remaining professional money managers that are bullish contain Eli Cohen’s Crescent Park Management, Paul Reeder and Edward Shapiro’s PAR Capital Management and Ken Griffin’s Citadel Investment Group. We should note that none of these hedge funds are among our list of the 100 best performing hedge funds which is based on the performance of their 13F long positions in non-microcap stocks. Is WebMD Health Corp. (WBMD) A Good Stock To Buy? Infosys Ltd ADR (INFY): Are Hedge Funds Right About This Stock? How Big Lots, Inc. (BIG) Stacks Up To Its Peers Biotech Movers: Heat Biologics Inc (HTBX) And Achaogen Inc (AKAO) Has Hedge Fund Ownership in Welltower Inc. (HCN) Finally Bottomed Out? Should You Buy BJ’s Restaurants, Inc. (BJRI)?